The college newspaper which uncovered an alleged hazing controversy at the all-male Knights of Campanile society said that the organisation's statement today denying bullying or humiliation was "peculiar". The Trinity College Knights of Campanile society released a statement on the back of the University Times investigation into an alleged bugging incident, where reporters placed a recording device outside an on-campus apartment to record incidents of hazing. The college is also investigating the alleged hazing incident. According to its reporters, members of the Knights of the Campanile were heard giving orders to "bend over", "get in the shower" and "open your f*****g mouth". The UT admitted a recording device was used in their investigation but stands by its methods. 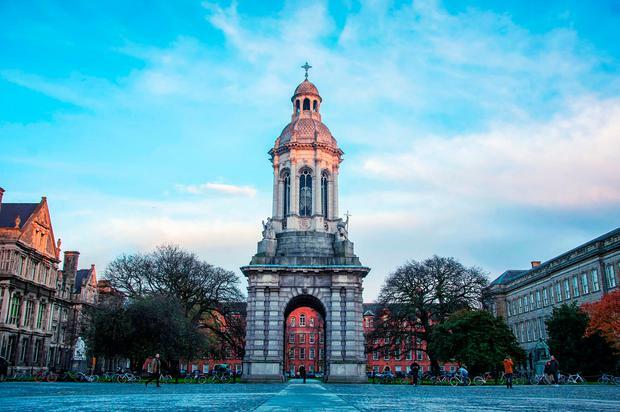 A referendum is due to take place which could see significant cuts to the funding received by the college newspaper from the Trinity College students union. In a lengthy statement the Knights of Campanile denied any hazing took place. “It has been alleged that ‘hazing’ - a term denoting bullying and/or humiliation at initiation ceremonies - occurred at a private party, given in his private rooms, hosted by the Knights’ President to welcome new Knights in College,” Knights of Campanile master, Peter Ledbetter said. “I am assured by the President that bullying and/or humiliation played no part in the evening’s proceedings,” he added. Mr Ledbetter also criticised the description of the Knights as elitist. “The Knights have also been described as elitist. This is true but not in the pejorative sense implied. Knights are elite in the same sense that scholars can be described as an elite,” he said. They also dismissed reports they were a secret society. “The statement from the Knights of the Campanile, which comes weeks after we first published our story, is obviously peculiar for a number of reasons, but mainly because it is the first time that anyone involved has denied that hazing took place,” Ms O’Mahony said. “Reporting on these appalling practices was in the public interest for a number of reasons, not least because of its high-profile membership, which includes highly prominent and influential businessmen like Peter Ledbetter. And its website provides very little information regarding the largely secretive nature of its activities,” she added.